Increased capabilities, technological advances and backing from the FAA are making avionics upgrades more appealing to operators. 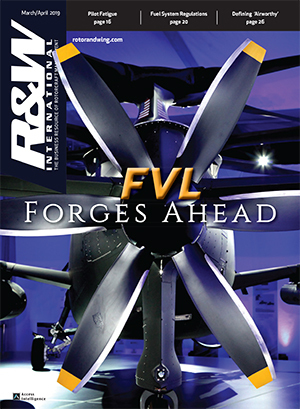 Corporate operators at the high end of the market are renewing interest in advanced avionics such as enhanced vision systems. Completion centers and manufacturers expect this trend to snowball as word spreads of new equipment being installed and those without it envying those with it. "Once a corporate operator sees this stuff in another guy's aircraft, he'll be asking, 'Why don't we have that'?" said Dave Ford, COO of Keystone Helicopter, whose completion center business serves those and other operators. "Then it won't be too long before they're having it installed, too." Ford said Keystone's customers are showing great interest in the EVS-1000 and EVS-2000 infrared enhanced vision system offered by Portland, Oregon-based Max-Viz. Less exotic equipment seems to have growing appeal as well. Electronic flight bags are becoming common place in helicopter cockpits. A growing number of operators are installing satellite-phone based systems for flight tracking, back-channel in-flight communications and ground support in case of emergency. At the lower end of the scale, instrument and display manufacturers are offering more compact and advanced devices that allow operators to pare aircraft weight while gaining greater flight management capabilities. Lincoln, Massachusetts-based Avidyne, for instance, is offering an integrated flight deck in the form of its FlightMax Entegra system, which gained FAA certification in 2003. Entegra integrates the EX5000 multifunction display and a 10.4-in. primary flight display (with standard flight instrumentation) with the company's solid-state air data and attitude/heading reference system (ADAHRS). 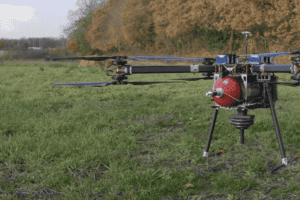 The reference system has a three-axis inertial reference and accelerometer system and a magnetometer, which together replace traditional vertical and directional gyros. The EX5000 includes a datalink radio that eliminates the need for external receivers. This simplifies wiring requirements while supporting a datalink-based information display such as graphical and text weather updates and alerts of temporary flight restriction zones. It also can integrate data from a variety of radar sensors into what the company calls a "comprehensive situational awareness display." 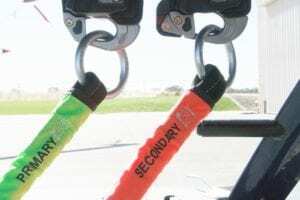 Honeywell is offering the KI825 as a replacement for its KI525 horizontal situation indicator. The new unit has a 3-in., active-matrix, color LCD display and is designed to interface with the company's KG102 and KSG-105 gyros. Honeywell also is offering the KMD-250 high-resolution multi-function display, with an optional GPS link to support an AutoNav feature. A variety of companies are offering products and services that link flight operations with the increasingly capable satellite-based telecommunications services networks. Some may view the in-flight phone and data services these offerings support as a luxury for the executive/VIP transport market. But helicopter operators are putting these offerings to work in pragmatic applications such as flight tracking and safety monitoring. Becker Avionics of Miramar, Florida is reporting growing interest in its NVG-compatible Primeline suite of radios from operators such as police departments and EMS units that are converting their aircraft for crew use of night-vision goggles. Safety enhancements are also driving interest in new avionics, such as Honeywell's Mark XXII Enhanced Ground Proximity Warning System. That system has been installed on corporate versions of the Sikorsky S-76C+, Eurocopter EC155B and Bell 430s. The system contains a database of most low-level objects such as radio and TV towers, bridges and buildings throughout the United States. Its range extends from 2.5-100 nm. 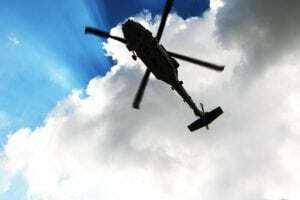 Honeywell's mid-priced KTA 870 traffic alert and collision avoidance system I and its more robust KTA 970 second-generation TCAS I system are being installed on executive helicopters. Honeywell's Primus Epic integrated avionics system will gain a new showcase in the field this year with the scheduled certification of the Bell Agusta AB139. The system includes an automatic flight control system, engine instrument/crew alerting system, an optional single or dual flight-management system with GPS weather radar, lightning sensor, and Primus II Select integrated digital radio package. Another obstacle avoidance system available for helicopters is Goodrich's Skywatch and more powerful Skywatch HP. Skywatch is popular among offshore operators and should have appeal among executive transport operators that fly in crowded airspace. Thales Avionics is supporting the executive transport market with its interactive flight management system. Its standard avionics suite features a reconfigurable glass cockpit with 6x8-in. screens; an FMS-equipped navigation system; a multipurpose control and display unit with associated attitude and heading reference system; a radio altimeter; a GPS receiver; and a digital duplex autopilot. In the flight tracking arena, OuterLink Corp. in Concorde, Massachusetts is currently testing the ability of its CP-2 system to support real-time health and usage monitoring of rotorcraft as part of a demonstration with the U.S. Navy and the Massachusetts Institute of Technology's Draper Laboratory. Draper has integrated an OuterLink CP-2 satellite terminal with a Goodrich health and usage monitoring system on a Navy SH-60B Seahawk. The CP-2A system, used by ChevronTexaco, Air Logistics, and several other offshore operators, provides a satellite link to supply automatic position reporting and flight following using GPS data and to permit the transfer of pre-formatted and free-format text reports. 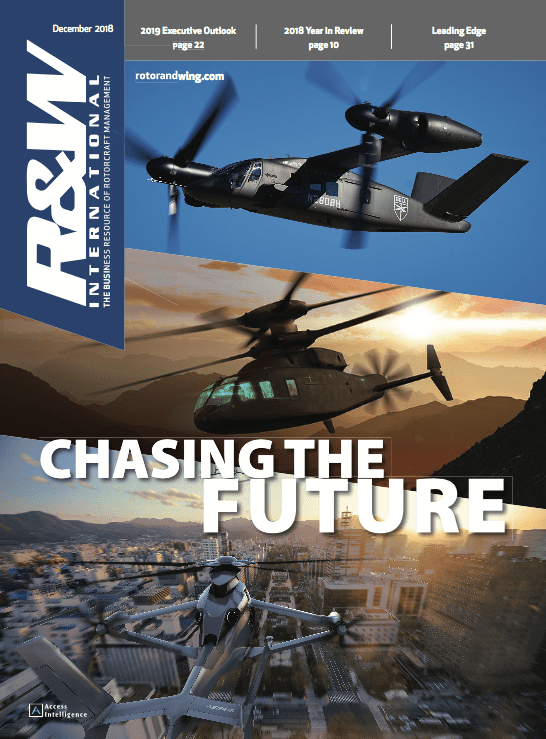 Blue Sky Network also is working its way into the rotorcraft market. The La Jolla, California-based satellite communications company just gained an STC and FAA parts manufacturing authorization for the D1000, its newest satellite-based aircraft tracking and two-way messaging system. Blue Sky D1000 mobile terminals, together with its SkyRouter server software, form a packet data network that is relayed to and from aircraft and ground stations via the Iridium satellite phone system. Blue Sky supports near real-time flight tracking, two-way messaging between aircraft and ground, and user defined customized telemetry reporting for fleet management. The D1000 terminal includes an embedded GPS transceiver, emergency backup battery, and a single antenna feed for both GPS and Iridium signaling. When used with a browser-based device such as PDA or laptop, the unit allows sending and receiving email messages. Data is rapidly transferred from D1000 terminals on aircraft from anywhere in the world via the SkyRouter server network. The terminal weighs about 6 lb. The company's system proved its value on December 20, 2003 when record-seekers Jennifer Murray and Colin Bodill crashed in Antarctica in an attempt to fly from the North to the South Pole and back. Their Bell 407 was equipped with a D1000 terminal, which permitted ground controllers in San Diego to learn of the crash, check on the crew's condition and alert rescuers. Chelton Systems' Canadian division, Northern Airborne Technology, links customers to the Globalstar sat-phone network with its STX100 system. Through a remote transceiver, a dialing device in the cockpit and a Comant antenna, the STX100 gives flight crews access to phone service through the aircraft audio system. An optional module permits operators to perform mobile dispatch, tracking, and data delivery through the system, and to obtain position and status reports. The market for electronic flight bags is picking up, spurred in part by last year's FAA guidance laying out a roadmap for operators to shift to a paperless cockpit. The devices provide instant access to electronic versions of approach plates and can host aircraft performance software, flight plan forms, checklists and other documents. 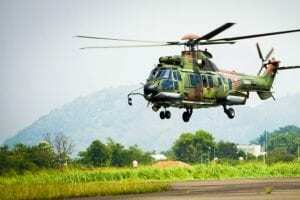 "They simplified management of the aircraft and the flight," said Kevin McGrath, chief helicopter pilot with Pfizer Corp. "They also save you from carrying several pounds of paper." CMC Electronics CT-1000G is among the electronic flight bags that have been fitted to helicopters. Italian authorities are using it, for instance, on Agusta Bell helicopters for police and emergency missions, according to the company. FAA is working at speeding the process by which operators get approval to switch to electronic flight bags. Agency officials said they are committed to a six-month turnaround on applications. A major concern for pilots is situational awareness, and advanced technology is helping to address it. Infrared sensors are becoming less complex and costly, and Max-Viz is applying those advances in IR to the situational awareness challenge by helping pilots see through rain, fog and darkness. Some advocates say IR-based enhanced vision systems could be the missing link in situational awareness. Max-Viz's advantage is that it uses industrial sensors, called microbolometers, that do not require cooling to detect IR emissions from the environment ahead of the aircraft. As a general rule, all objects emit IR radiation roughly proportional to their temperature. An IR sensor detects those emissions, using measurements of them to generate a thermal image of the area in the sensor's view. In this image, cooler objects are darker and warmer objects are lighter. Current sensors can paint a remarkably realistic image of the environment around them. Max-Viz has obtained STCs for installation of its enhanced vision systems on Bell 212s and 412s and Sikorsky S-76s, and is pursuing STCs for the Bell 206 and 407 and the Bell Agusta AB139 this year. Kollsman and CMC Electronics have shown little interest in developing their enhanced vision systems for helicopter applications. One reason may be that each uses cooled sensors, which increases system weight. However, each company has said it is pursing development of systems using uncooled sensors. 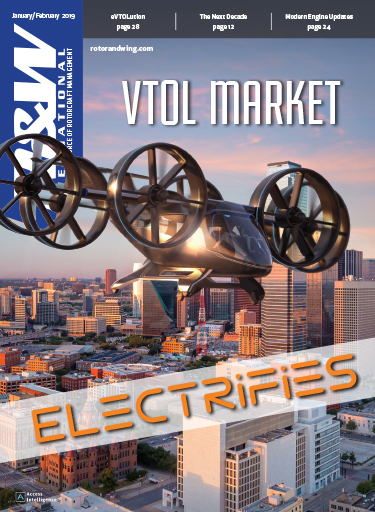 Max-Viz said 50-75 operators were flying with its systems, including a number of corporate helicopter operators and the EMS operation at Erlanger Hospital in Nashville, Tennessee. Acceptance of the system "is happening much faster than we expected," said Jean Menard, Max-Viz's director of sales. Synthetic vision systems are also showing their promise. Chelton Flight Systems, for instance, is showcasing the synthetic-vision capabilities of its electronic flight instrument system. The Boise, Idaho-based company gained the first helicopter STC for its "highway-in-the-sky" EFIS, which is based on the GPS system and supports the Wide Area Augmentation System. The first aircraft equipped was a Bell 206 JetRanger owned by Hillsboro Aviation of Hillsboro, Oregon. The Chelton system displays a series of overlapping boxes that form the "highway," or course through the sky. By flying through the boxes, a pilot remains on course and should avoid all obstacles, hazardous terrain and traffic around him. The system is designed to give the pilot a constant synthetic image of his surroundings. The basic system consists of two 6.5-in. screens with a solid-state air data computer that provides inertial attitude and heading reference, a 12-channel, parallel-tracking GPS WAAS receiver, an integrated voice warning and TAWS system and a digital flight performance recording for the last three flights.